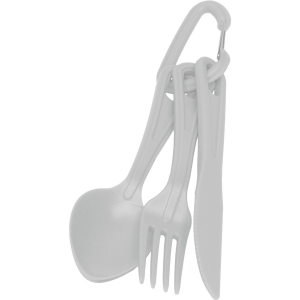 These are some of the few conventional plastic spoons and forks on the market, in contrast to fancy shapes like plastic sporks etc. Plastic is good if you have non-stick camping pots, and want to keep them non-stick. 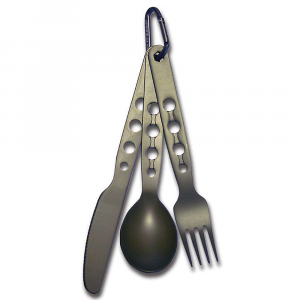 Titanium or alloy utensils weigh a bit more and damage the surface easily; it's not advisable to use them for stirring food, or eating directly out of the pot or pan. Initially the Sea to Summit polycarbonate spoon did its (simple) job well, although I didn't particularly like the shape of the spoon. 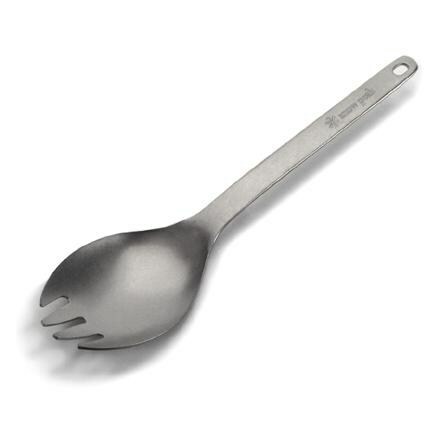 I prefer spoons that are not as wide as this one, to not make eating an exercise in face gymnastics. However, after about 1 month of use, the spoon broke. The head simply broke off. 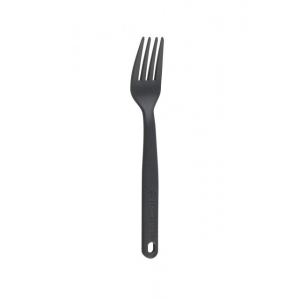 I had similar problems with the Sea to Summit polycarbonate fork, and decided not to replace the spoon. It's dirt cheap, but I'd rather pay a bit more and have something that is able to withstand normal use, and doesn't leave me in the middle of nowhere without being able to quickly replace it. For a couple of weeks, the fork worked fine. The only minor complaint I could have had was, that the fork had a couple of rough edges which weren't as easy to clean. But since it only costs a couple of cents, this can be overlooked. However, after maybe 4 weeks of daily use, the fork lost its first tooth. There was no force involved: the tooth simply separated from the fork while stirring spaghetti in hot water. The fork was still useable with 3 teeth, but it only took a couple more days for the next tooth to follow the first one. Again, it simply separated in hot water. Since the Sea to Summit polycarbonate utensils are very cheap, I replaced the fork when I passed the next outdoor shop. However, the new fork disintegrated after even shorter use. 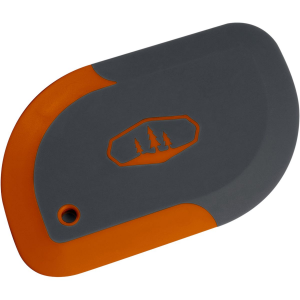 It seems that this particular kind of plastic is not able to withstand heat and moderate pressure very well - something that I definitely expect from camping utensils. Yes, the utensils are cheap, but I don't want to start using my fingers for eating simply because my cutlery disintegrates far away from the next shop. 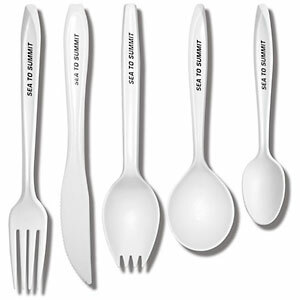 The Sea to Summit Polycarbonate Cutlery is not available from the stores we monitor. It was last seen March 27, 2019	at Bentgate.com.